Arriving from the North Shore of Massachusetts, Waelmist started in 2015 to unleash their own take of East Coast thrash metal. It makes sense then to hear a self-titled EP after they’ve been building their skills sets in the rehearsal rooms and gaining a bit of seasoning on live local stages. Going in with little knowledge allows this scribe to judge the material through its primal contents – and it’s apparent after a few spins that this act serves up a delightful blend of old school thrash with the ferocity of younger upstarts who also dig adding a bit of punk/extreme angularity to the mix. The guitar riffing can be very straightforward one moment, then darker and slightly evil the next – Waelmist unafraid to move into Venom/Death textures against the thrash foundation for “Brazen Bull”, as the dual screams/growls from bassist Jesse Cornelisse and guitarist Angel Reyes heighten the tension to make for a roller coaster of impending doom. Unafraid to turn on a dime tempo-wise midstream for “Blood Eagle”, it sets the aural experience apart from the typical brethren of the genre, the lead break containing fluid chops and note squealing/bend action that may be as much Slayer as it is Testament. The frantic nature of “Impaler” brings up Teutonic visions, this track most evident of punk-like tendencies just put through a metal lens, a la the early hungry years of Kreator. Everything about these six tracks has the right balance of integrity, speed, transitions, and cohesiveness – without any designs on trying to ape another artist and raid their great riff/hook catalog to pass off as their own. It’s a welcome relief to these ears to feel the snare, kick drums, and tom action on a kit without being over-processed and triggered to death – and the main vocals aim to rip your heart out of your chest and sever heads, just what underground fans desire in their music. 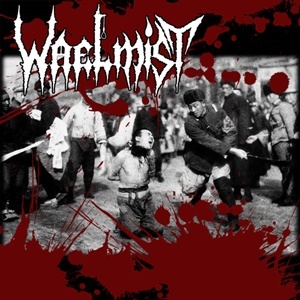 Obviously enticing at a delightful name your price value on Bandcamp (throw some money their way, please), Waelmist have a solid grasp of the genre and remind listeners of the aggression, intensity, and basic tenets that are still relevant today.